When I was a little kid I used to watch a show on TV called ‘Pingu’. I was completely smitten with the way he honked at his friends and curled up in a ball to roll away. The hours spent trying to imitate ‘penguin sounds’ surely had to pay off someday. 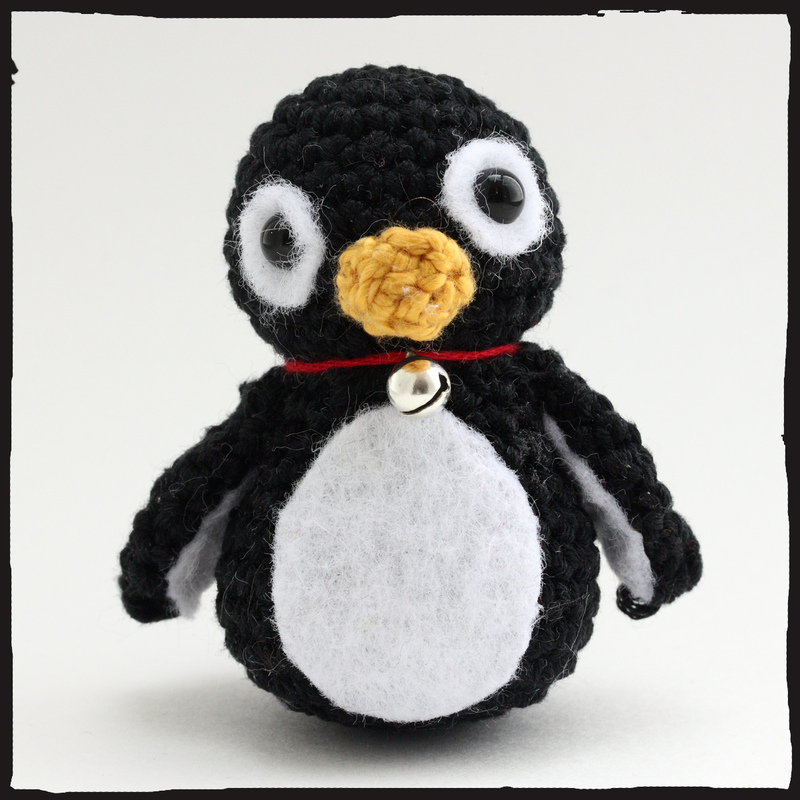 Alas, I didn’t become the world’s first penguin interpreter, but my childhood hero did at least inspire me to make my own wool version of him, complete with a little collar and bell because I like the tiny tinkling sound it makes. Pingu himself couldn’t look cuter! Did you know there are penguins who live in South Africa? These cute little birds nest on a beach in Cape Town called Boulder’s Beach. They dig holes in the sand to lay their eggs, and when it gets too warm they sometimes sneak into people’s gardens to swim in the pool. Would you mind sharing your pool with one of these guys?